Guitarist Marc Antoine returns to true form with Guitar Destiny, an instrumental journey illustrating Marc’s pursuit of his long and illustrious career. The album’s ten all-new tracks have a strong connection to Marc. He recalls always stopping to watch the trains go in and out of the station, when crossing an old bridge that was close to his old home when he was growing up in Paris. Little did he know those train tracks would take him around the world in pursuit of an international and successful career. Marc’s magic touch ties it all up in this wonderful voyage through places and musical genres. One of the cornerstones of the Shakatak sound was – and still is – the solid bass sound of George Anderson. I’m lucky enough to have a promo of George’s second solo record ‘Expressions’ and I’m doubly excited that my CDR was burned on the computer that was used to master the album. Hot off the press or what? Enough chat – let’s get to the music! Jonathan Fritzén is Sweden’s premium export in Smooth Jazz. He is known by his albums Love Birds (2008), VIP (2009) and Diamonds (2010). He supported the release of his albums with numerous live performances in USA. His newest project is entitled Magical and already in the top ten of the Billboard charts. 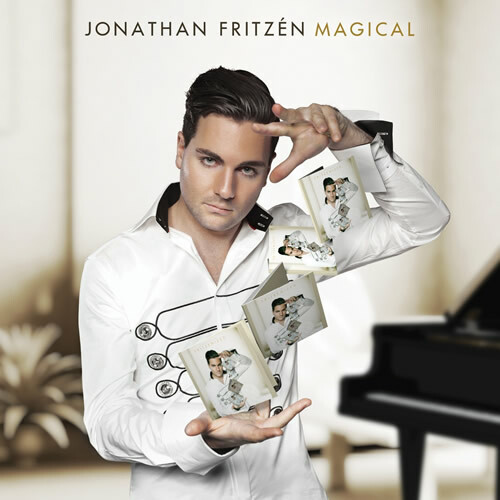 As on his previous albums Fritzén is supported by famous artists like Boney James, Paul Brown, Jackiem Joyner, Darren Rahn, Malene Mortensen and Vincent Ingala. 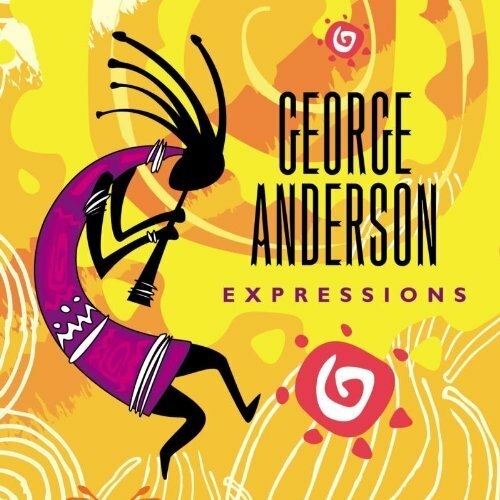 The first track is the title song and also the first single frequently played on the remaining smooth jazz radio stations. It is debatable whether the composition talent or musical virtuosity of this artist is greater. Magical meets all the requirements of a capturing song and with Boney James on sax he has a suitable figurehead. Jim Hagen hails from Kansas City, where he started learning guitar at the age of 10. He studied classical guitar at Penn Valley College and the Kansas City Conservatory of Music. His band, Prophet, opened for some major recording artists, including John Kay and Steppenwolf, Jeff Berlin, and Bill Bruford of Yes. He moved to California in the 1980s and formed a new group called Arroyo Culture, which played numerous clubs in Hollywood and Los Angeles. The band released a CD on Partly Dave Records and was featured in College Music Journal and local radio. During this time, Hagen continued to study classical guitar with Robert Vaught and jazz guitar with Ron Anthony, guitarist for Frank Sinatra, and Riner Scivally. His musical tastes changed and he eventually started playing jazz, incorporating original compositions with jazz classics. Today, Hagen continues to compose and record original songs, and perform with his jazz cover band. This original contemporary jazz album is featuring electric and acoustic guitars, vibes, keyboards, bass and drums! 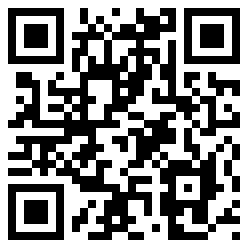 You find it at CDBaby. All the Way is an eclectic mix of inspirational and funky contemporary jazz, featuring silky smooth saxophone phrasing, laid back keyboard grooves and subtle African percussive elements. These catchy tunes will take you all the way down chill-out lane! All the Way is Osaru‘s third self produced Studio Album. This is a Smooth Jazz Album ‘must buy’! A very worthy successor to his last album, Home with the Keys, Osaru continues his musical journey with a fascinating new chapter, showcasing his talents on the keyboards and wind controller. ‘All the way depicts my present state of mind, and summarizes my plans for the future. I am full of optimism and intend to keep on creating and performing great, inspirational music that everyone can enjoy…’ All the Way to CDBaby. Hailing from Kansas City bass player Julian Vaughn started his solo career with his self-released debut entitled The Purpose Project in 2010. His sophomore album Breakthrough is just released at Trippin ‘N’ Rhythm Records, an expanding label with a heavy concentration on the smooth jazz genre. Joining this label gave him the opportunity to show his talent on festivals such as the Seabreeze Jazz Festival, Catalina Island Jazz Festival, Big Bear Lake Festival and the Dubai International Jazz Festival. Labelmates such as Darren Rahn and Nate Harasim were supportive in producing his album. The starting On Your Feet carries the signature of Rahn (sax) and Vaughn (bass) both impressing on their respective instrument. A certain proximity to Wayman Tisdale’s style is unmistakable. 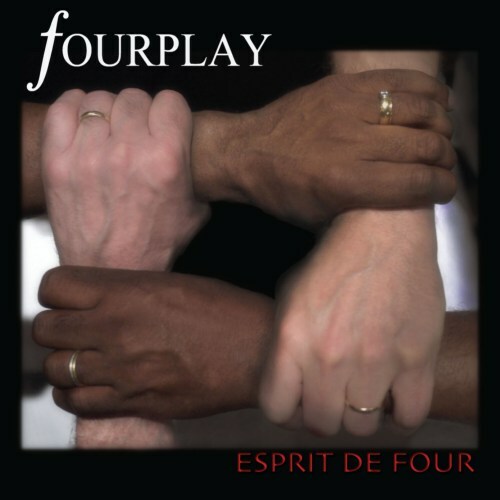 The twelfth studio album from the mighty Fourplay, and the second record to feature ‘new boy’ Chuck Loeb, is an exciting prospect. Even moreso because I only recently became aware of its impending release. Shall we get straight to the music FFF’s (Fellow Fourplay Fans)? Unlike the opening to many contemporary jazz outings ‘Esprit de Four’ begins on a mellow note – and I love it. ‘December Dream’ has a bassline that starts out as hardly discernible and Harvey Mason teases us with the lightest cymbal touches to keep time. It’s written in waltz time and the piano and guitar have an almost classical flavour, especially during the introduction. I know I don’t use the word ‘counterpoint’ often in my reviews, but here it is in all its beauty. A very elegant tune which builds in intensity throughout almost eight minutes. I always feel there needs to be at least track on a good contemporary jazz record that you can hum or sing and ‘Firefly’ is one such. The rhythm flies and this has the Fourplay trademarks that have kept them at the top as an ensemble for twenty years: Nate East’s whispered falsetto vocals and ever-tasteful funky bass, Harvey Mason’s crisp snare, Bob James warm keyboard textures and a truly gifted jazz guitarist – in this case the fabulous Mr Loeb. Of course, topping off these other delights is the unifying factor: melody. And it’s this that keeps me singing/humming Fourplay songs. This one won’t leave me alone and the fact that Nate East delivers one of the best solos I’ve heard him play just adds to the appeal. This is my favourite track from the album. ‘Venus’ calms us down with the sound of an acoustic bass, piano and guitar with a string synth as backing. The brushes on the cymbals keep your head nodding gently as this lovely ballad unfolds. I love Chuck Loeb’s playing. He can play it crazy, as he does on some Metro releases, or like a lullaby as here. He gets a sound that Earl Klugh’s fans (such as I) will love. ‘Sonnymoon’ is the first track I played on my internet radio station because it really is an attention-grabber. Another flying rhythm (one day I’ll properly explain what I mean by that, but listen to this song for a darn good example) and bass, guitar and keyboard lines that keep moving but leave just enough space – another Fourplay trademark. Bob James Rhodes solo has a very organic sound – more of this Bob please!